An interview with Stéphane Hamel. Earlier this year, I had a chance to interview one of the most distinguished thought leaders in the field of digital analytics: Stéphane Hamel. You know him from his many innovations such as his Digital Analytics Maturity Model (DAMM) (2009) and Web Analytics Solution Profiler (WASP) (2006). Stéphane was also recognized as Most Influential Industry Contributor by the Digital Analytics Association (2013) among many other awards. A: I have been in the digital analytics space fulltime for well over 10 years, but really have been working in data-driven business for a good 30 years now. Back in the day at companies such as the Montreal Stock Exchange and many others we essentially did big data working with huge amounts of real-time data – but I don’t remember that we ever complained. It was difficult, it was complex, but we didn’t complain. It’s just what you had to do. Then in the early 90s when the first web servers came about I remember having to convince my employer that they needed a website. And then again during the years of the Internet bubble I had to convince companies that doing analytics made sense, i.e. that a website wasn’t enough. You have to constantly measure & improve. Q: How have you seen digital analytics evolve over these years? A: Coming from the IT background I saw the time when in the late 2000s analytics was eagerly taken over by marketing and ecommerce in order to measure and optimize campaigns. But I wrote an article back then already that “web analytics has been hijacked by marketing”. Marketers saw the web as mostly a marketing channel back then as opposed to a business channel. So analytics was used narrowly for measuring campaign and shopping cart conversion rates, yet ignoring so much of what analytics should be contributing to the business. Today, the use of analytics is much broader than just marketing and ecommerce optimization. It’s also about CRM, sales, customer support and self-service, business processes, and ultimately it should be about the customer. Q: How far along are companies with putting the customer at the heart of their analytics and their business? But when I then ask “what are your goals and KPIs?”, or “how do you do it in order to be customer centric and data driven?” … often they don’t know what it is that they are doing. Sometimes it’s more like they heard about the notion … but there is not much more behind it unfortunately. Q: After decades of customer-centric thinking, what’s still holding companies back? A: Beware of those blanket statements that the Internet is awash with. For example, the “Top X things you must do for mobile immediately or you will perish.” kind of statements. What should your company’s mobile experiences be optimized for? It very much depends on your customers and your business. Analyze what your users are trying to accomplish using mobile devices and take it into account in your design and optimization. I also see a lot of marketers chasing the next big thing. They have heard about growth hacking and now they are for example gung ho to create a viral video. But they don’t even have the basics down of what it is that they are marketing and what their business goals are. Then people have the expectation that they can just call in a consultant and they are going to come in and magically identify the problem and the solution. It doesn’t work that way. Q: And why are marketers still struggling with analytics? A: Complexity has gone up dramatically. Today’s marketers and eCommerce pros have over 2,000 MarTech solutions to choose from, all bringing different ideas and pitching to help increase their business. So the expectation in analytics have risen as a result too. Not to mention that customers now interact with you across these different MarTech solutions and on top of that also via their multiple devices. Q: What are the customer-centric analytics components you recommend? A: A lot goes into being customer centric. For example, most fundamentally can customers actually reach you e.g. by email and do you reply? On Facebook do you just broadcast and brag or do you actually listen and reply? But part of that eco-system is also to include Clicktale and understand and solve issues one experience at a time. The saying goes, “You can’t improve a single thing by 1000% but you can improve a 1000 things by 1%”. and at the end of the day the impact will be exponential. Something like Clicktale is interesting because you can find that little thing that interferes with a customer’s experience and fix it and the effort of fixing it might be very low and fast. You can uncover opportunities for enhancement bit by bit, find glitches and improve them. You find out what it is that drives conversions by learning one customer experience at a time. You can quantify the impact via aggregated heatmaps and conversion analytics across your customers and segments. This makes much more sense vs. throwing dollars after every supposed next big marketing thing without optimizing the experiences you have. Many thanks to Stéphane for your continued contribution and leadership in the analytics industry. Stéphane Hamel is a seasoned consultant and distinguished thought leader in the field of digital analytics. He works with companies to help them assess their digital analytics maturity and take it to the next level. Stéphane also coaches agencies to help them build their own analytics centers of excellence, i.e. to “train the trainer”. Stéphane is an experienced teacher and speaker who shares his passion for digital analytics – be it technical ‘how to’ or assessing organizations’ digital capabilities and maturity. This interview first appeared on the Clicktale blog. Comments Off on You think you are customer-centric and data-driven. But are you really? As I was setting up holiday lights around my house this weekend I was plugging one string of lights into the next to go around the length of the roof. That made me think: how complicated would this be if every cable had a different kind of power plug, i.e. 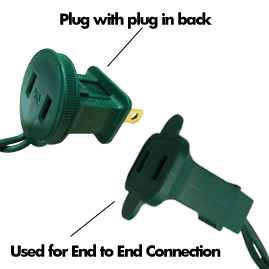 if there wasn’t a standard socket/plug for connecting cables from different vendors. You would have needed to run a separate power cable from the main socket to each set of lights instead of simply connecting the various cable strings with each other. Wouldn’t it be much more sensible if all of the digital marketing solutions could plug into a common set of data elements? IBM, in collaboration with 50+ other digital leaders such as Google, Adobe, tag management vendors, etc, has chaired an initiative to establish a new digital marketing industry standard for streamlined digital data management within a World Wide Web Consortium (W3C) community group. This community of industry leaders has now approved the final Customer Experience Digital Data Layer specification which rallies the industry around a single data model for tag data collection. The value to marketers is accelerated on-boarding of new, relevant services, reduced IT burden in managing existing services, and superior and consistent site performance. As vendors in the industry adopt this new standard, marketers will be able to take advantage of a single tag language used across all participating digital marketing services, saving time and money during implementation. As the chair of the W3C Community Group, IBM’s Sri Viswanath had posted his perspective on this blog earlier in the year. Therefore, let me share below voices from other digital thought leaders and practitioners. Eric Peterson reviews the practical value of the W3C final specification on the Web Analytics Demystified blog in the light of a “coming of age” of tag management vendors. Meaning, in my opinion, that instead of competing on the commodity aspects of tag management data, vendors will now compete on the merits of what they enable businesses to do with that data. For example, how are the solutions helping their customers exchange digital data with a network of Digital Marketing solution providers in order to infuse these with real time intelligence on customer behavior? Let’s go across the pond next, literally, and hear from one of the captains of web analytics that has guided and shepherded use of intelligence towards better digital marketing decisions over the past decade. Oliver Schiffers has been known for his web analytics leadership at SapientNitro for many years. Way back in 2001 he has been one of the NetGenesis crowd, so he has experienced the issues from both vendor and consulting perspectives. “I see tremendous value in the data layer on top of the value Tag Management Systems (TMS) already provide. What was missing was still a consistent way of providing custom and dynamics values to the TMS. Also, to be able to set a clear standard and orientation for agencies and site producers how to catch events is beneficial to both the developers as well as the analyst responsible for tagging. I love that endorsement that a common language helps each of the constituents in the process. “That internal communications efficiency must not be overlooked: when interfacing with digital marketing / analytics technology vendors, having a data layer in place promises potential ‘turn key’ implementations. It provides a common language and process… but not only for use by the organization, also for the organization to communicate with its vendors”. Let’s move to mobile next and ask Lee Isensee at Localytics. Lee has been a pillar of this industry for more than a decade and worked through countless implementations of digital data collection tags with customers. That direct hands-on experience informs the value he sees in removing spaghetti coding pains, i.e. not needing to translate multiple languages into each other! Aurelie focused more on that last point. Specializing with her firm in the area of data and consumer privacy, Aurelie reviews the potentials of the new data collection specification from that specific angle. Here, the potential of the new data layer specification is that a commonly agreed standard of what each data element means, can also lead to more precise opt-in or opt-out mechanisms. “I hope it will gain traction. Yet it remains a technology perspective of the Privacy problem. . As with anything in our industry, this is related to tools but certainly there is more to it, e.g. people and processes. Therefore, when it comes to Privacy, this should clearly be part of a larger thought process, hopefully inducing Privacy by Design ways of thinking. Hopefully it will not be seen as the only solution to adopt when tackling this evolving issue. My second stance is one related to adoption for privacy related goals, e.g. in the light of the earlier privacy project at the W3C: Platform for Privacy Preferences (P3P) that was suspended back in 2007. Through my career, I’ve had requests related to P3P but with no real drive to take into consideration these guidelines. Adoption remained low and was merely seen as a hassle, imposed by General Council if not just some enlightened Privacy defender(s). The question of adoption of the new standard for privacy purposes remains therefore open. From the angle of data privacy, the final specification is helpful but not enough by itself, as Aurelie points out. More remains to be done for that angle. IBM and many of the participating vendors are eager to adopt the final specification into our digital marketing and analytics solutions and implementations have already begun in some cases. For example, David Henderson at Triggered Messaging Ltd has been implementing against the final report at his firm and is sharing his experience on the W3C Wiki. Meanwhile, users of IBM Digital Data Exchange can already today map to the uniform Digital Data Layer in order to have it feed IBM’s solutions for digital Marketing, analytics, customer experience management, and omni channel marketing. How are you going to adopt the standard for your site, products, or customers? Download and read the final specification for the Customer Experience Digital Data Layer today! Tune in to the recent Beyond Web Analytics podcast on the topic of the coming Standards for digital data collection via tags. Listen as the BWA hosts Adam Greco, Rudi Shumpert explore the topic and coming standards with IBM’s Eliot Towb (product management for digital analytics and tag management), and Sri (Viswanath Srikanth) from IBM Standards. Visit the W3C’s related standards group page to see the list of current members in the effort including the who is who in digital. Having served in the digital analytics and marketing industry for the past 12 years, I remember waaaay back in maybe 2006 there were passionate voices in the industry advocating that the page tagging layer should be interchangeable, i.e. standardized, between web analytics solutions vendors. Customers should have it easier to switch out web analytics solutions. Vendors should be competing on the merits of the insights that they help customers derive, not on the mechanics of data collection. Back then, those proposals went nowhere since all of us back then at Unica, Coremetrics, Omniture, Webtrends, etc. were busy growing business like crazy and getting acquired. I shouldn’t jinx it by speaking too optimistically but all signs are that we are on a very promising path to standardization of data acquisition via page tags now. And this will be not just for web analytics solutions, but more generally for all digital marketing applications. The goal is to save marketers from needing to learn and program a whole new tag data collection language with every vendor’s solution that they want to try. The value is that marketers can then be more agile with trying and using new applications since these could all feed off of a common data collection layer. Who is in the standardization effort? Today, the standardization effort is being lead by a few dozen member companies including the ‘who-is-who’ in digital. They are working in the W3C Customer Experience Digital Data Community and making rapid progress towards proposing a standard for data acquisition. IBM’s “Sri”, Viswanath Srikanth, from the IBM Software Standards team is chairing the group effort. Sri is planning to be in Nashville at the Smarter Commerce conference to share details from the community’s work. Aside from the impressive list of participants, the other great news to me is that this is really straight forward from a technical and practical perspective. You could compare it to the way standardized electrical power plugs and sockets make it possible to plug in any electrical device no matter where or which power company is serving the region. They all rely on there being a standard interface in between them, namely standardized power sockets and plugs. So one application may expect page category in a variable named “pageCat = ABC” while the next app may expect it to be named “CategoryPage = ABC”. Similarly one website may place a shopping cart item into a variable such as cart while the next might place it in something like basket. But … if there is a common translation layer in between sites and apps that everybody can rely on … that would solve the problem. But after doing this just once, all standards compliant third party solutions can plug and play. When solutions require additional key-value pairs of data beyond those specified in the standard, no problem, those can be deployed through additional tagging. When can you expect to see the benefits of this? The next milestones in the W3C Standards discussion group are for the data layer spec to be readied in May/June 2013 and finalized and published by July/August 2013. From there, it is only a matter of time before the member organizations adopt the standard into their product road maps. I have no doubt that the tag management solutions and major digital marketing suite vendors will be first to race and implement the standards. Once that has happened, point solutions will follow. How can you contribute and influence? Simply go to the W3C’s web page for the Customer Experience Digital Data Community Group and follow the links on information about how to join. Why are vendors driving the standardization? Why now? What is it you might wonder that is driving vendors such as IBM to invest in this standards effort now given that for so many years most vendors weren’t prioritizing standardization at all. The first major change has been the advent of tag management solutions. With those available widely, no vendor can hope to lock in their customers by making it cumbersome to retag. Secondly, many of the participating vendors offer a wide and ever growing portfolio of solutions. We need to make it easy for our customers to plug and play with our native solutions plus with point solutions of their choice. This is a core strategy that customers should expect from their vendors. At least that is why IBM is in it. After all, … could you imagine undoing the standardization of electrical power plugs? To learn more, join IBM customers and prospective customers in Nashville (May 21-23) and Monaco (June 18-20). Sri and our IBM colleague Eliot Towb are presenting on the topic and available for discussion and your feedback. Prefer SaaS or On-Premises for your digital analytics and marketing technology solutions? Cloud based solutions i.e. Software as a Service (SaaS)? Ground based solutions for on-premises deployment? Of course, the answer is “it depends”. So the guest blog post on the Smarter Commerce blog has my two most important pieces of advice on how to explore SaaS vs. On Premises when you choose between them for your company. This was posted on the occasion of the recent IBM Marketing Center product release. That one is a cloud based product which prompted this question on deployment models. Comments Off on Prefer SaaS or On-Premises for your digital analytics and marketing technology solutions? IBM today announced the new IBM Marketing Center — an all-in-one solution that combines digital analytics data with real-time marketing execution. Marketing Center provides A/B testing, website personalization, email marketing, and more. For more information and to download the data sheet see the product’s web page at ibm.com/marketing-solutions. What I find most exciting here is that digital analytics and marketing are glued together in a single application: i.e. there is no room for a chasm between analytics and action anymore! Continuing the question what digital analytics are vs. web analytics, here are 10 things that hopefully don’t describe you or your company. 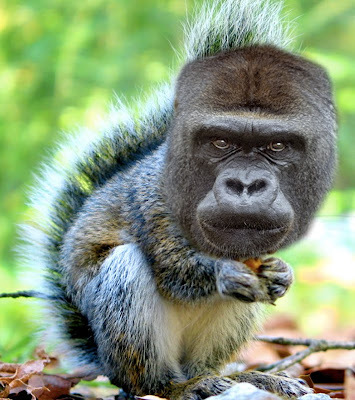 Bonus: You walk into your office like a shy report squirrel… when you deserve to walk with the might of the 800 pound gorilla that owns the most real time insight into customers in all your company.